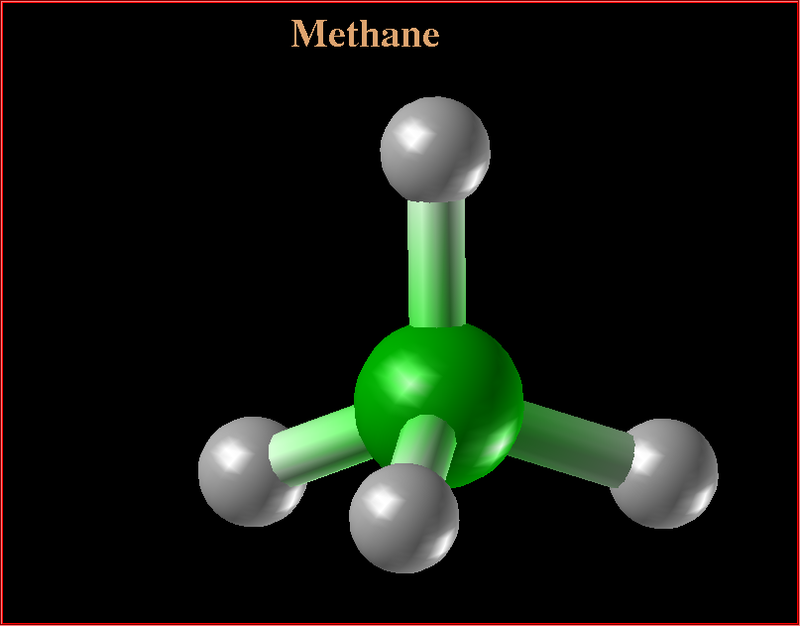 Methane, a compound with the chemical formula CH4, a common fuel source, is the main component of natural gas. As it is relatively abundant on Earth, it is an attractive fuel. However, capturing and storing it poses challenges because of its gaseous state under normal conditions for temperature and pressure. It is also a powerful greenhouse gas, i.e., it is one of the gases that drive climate change. Environmentalists worry about CH4. If we let it get into our atmosphere from leaky gas pipes, for example, it absorbs the Sun’s heat. Subsequently, our planet warms up. Methane emissions also come from agricultural livestock. People often ask whether methane is as important as carbon dioxide regarding greenhouse gas emissions. CH4 does not linger as long in the air as carbon dioxide (CO2) does. However, it absorbs heat much more effectively than CO2, so initially, it is a major greenhouse gas. For the first twenty years after it is released, CH4 is between 25 and eighty-four times more potent than CO2 (figures vary depending on which study you look at). Over the long-term CO2 matters more. However, we also need to control CH4 emissions, because it’s so potent. Where do CH4 emissions come from? According to the United States Environmental Protection Agency (EPA), more than sixty percent of total CH4 emissions come from human activities. It is emitted from agriculture, industry, and waste management activities. The largest source of emissions from industry in the developed nations is natural gas and petroleum systems. When we extract natural gas, the process emits some CH4 into the atmosphere. Domestic livestock including cattle, sheep, goats, buffalo, and camels produce large amounts of methane as part of their normal digestive processes, i.e., burps and farts. CH4 is also produced when animals’ manure is managed or stored in holding tanks or lagoons. The agriculture sector is the main source of CH4 emissions globally. A study found that dosing cattle with antibiotics increases the release of methane from cow dung. Waste that decomposes in landfills generates methane. The same occurs in the treatment of wastewater. In the US, landfills are the third largest source of CH4 emissions. Methane also comes from several natural sources. The largest natural sources are wetlands, which emit CH4 from microorganisms (bacteria) that decompose organic materials in the absence of oxygen. Smaller sources include wildfires, volcanoes, sediments, oceans, and termites. Many countries are reducing methane emissions. 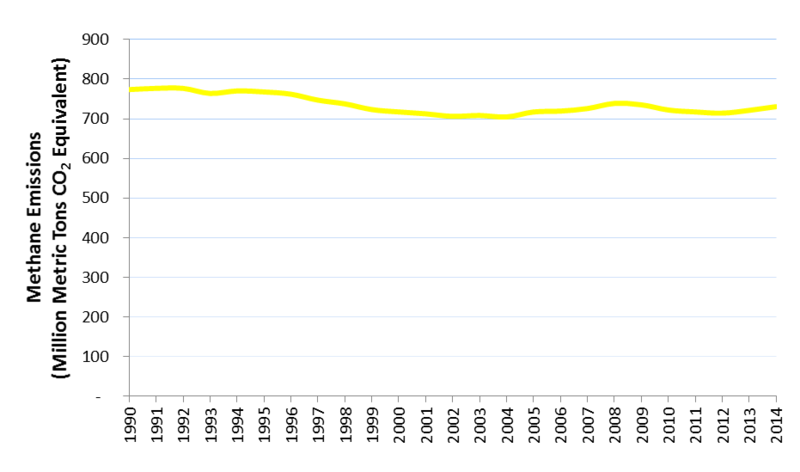 In the US they declined by 6% between 1990 and 2014. During that 24-year period, emissions grew from sources linked to agricultural activities but fell considerably from sources related to the oil & gas industry. This Environmental Defense Fund video talks about methane gas and what we can do to reduce emissions.